Mother Earth Lodge's story is one of renewal and reverence for Mother Earth. 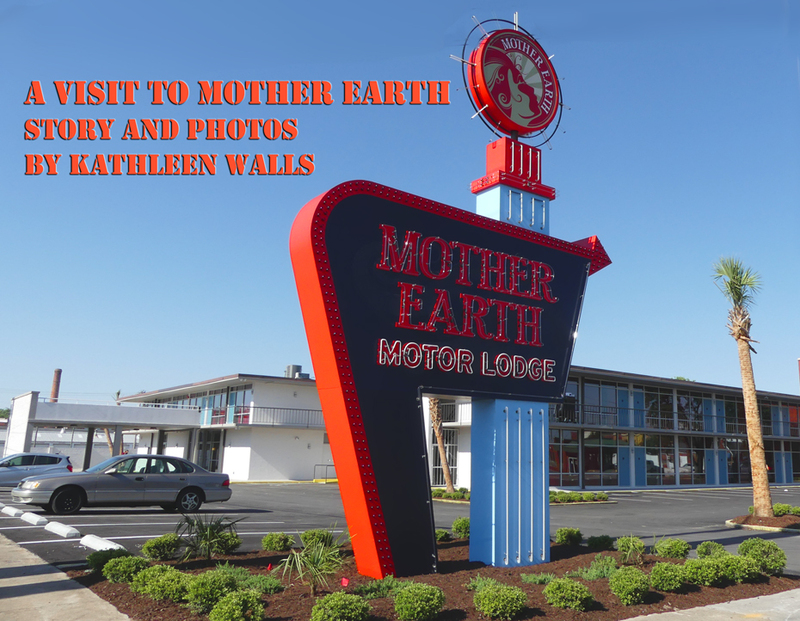 She started life in the early 1960s called the Kinston Motor Lodge as motels and tourists courts sprang up all over to accommodate the multitudes of new road-trippers taking to the post-war updated highway system. By 2014, she had become literally a den of thieves. Rooms now rented to low-income people by the week and crime was flourishing. Fast forward to April, 2017. What a change! Mother Earth Lodge is now a secure, well lighted lodge listed on the National Register of Historic Places. She has kept the vintage look but with a bright new aspect. Outside, a kidney shaped pool is visible from all rooms. Lighted palm trees and a charming neon sign add flavor. The upgrade changed the drab exterior to white walls, blue doors and gold colored curtains. 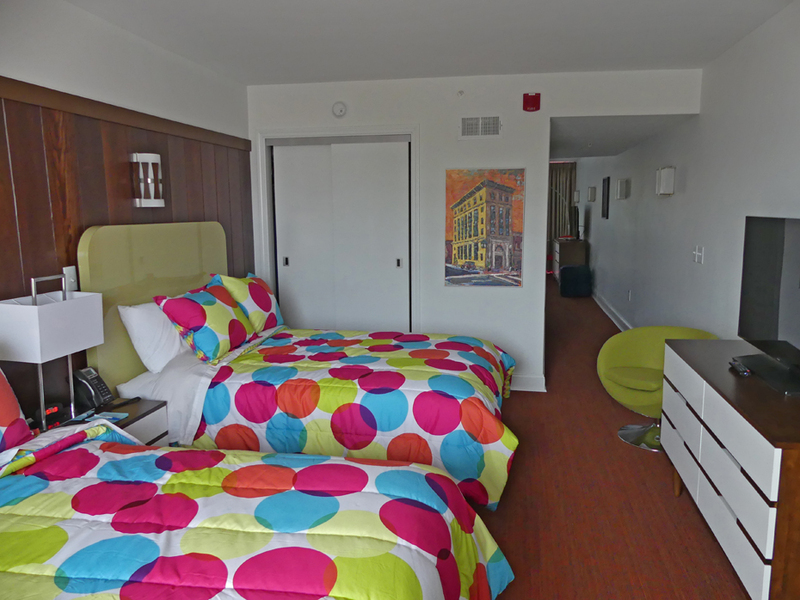 The new design changed and enlarged many of the rooms to create 20 suites and 25 rooms. 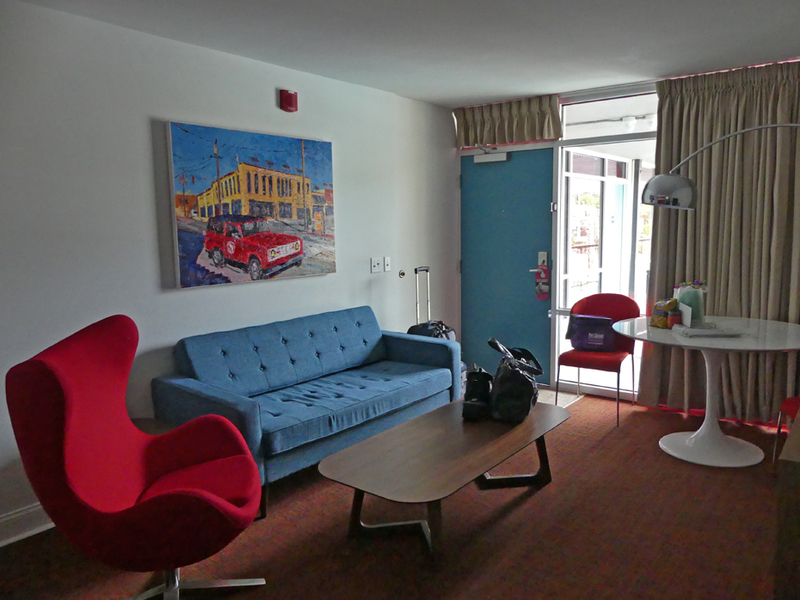 Structurally, the look is still of a vintage motor lodge but quite glamorized. The exterior doors to the balcony which could have been a safety hazard are now weather-proofed solid glass windows. You can look out but no one can enter. Of course, the latest amenities are there like cable TV and very good Wi Fi service. A new grilling area, badminton, and mini-golf course were being installed when I visited just a few weeks after opening day. Liea Oglesby, front desk clerk, was friendly and even asked if I needed getting my bags upstairs. I enjoyed my stay at Mother Earth Lodge while visiting Kinston. I got to meet owner, Stephen Hill, at another of his regenerated projects, The Mother Earth Brewery. I was suprised to learn he is even a talented painter. 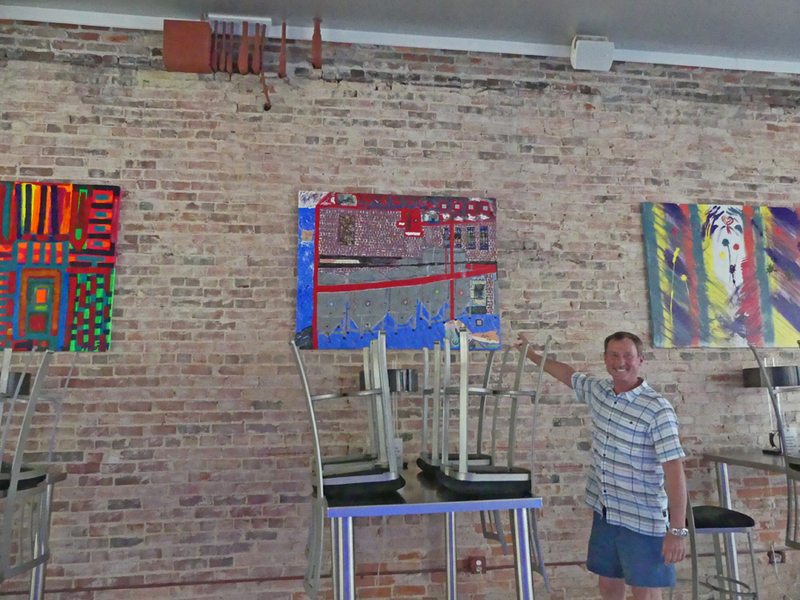 Stephen told us of his memories of coming to Kinston as a child when for shopping. "Queen Street was called ‘The Miracle Mile' for all the shops." As an adult, he had lived in Washington, DC and on returning to Kinston, found a very different town. He began investing in old historical buildings and renovating them while maintaining their historical significance. One of those is now his home. He lives on the top floor of beautifully restored The O'Neil, a boutique hotel that was once a bank. When asked if he would ever branch out and begin doing this elsewhere, he replied, "No, This is my home. Besides, I don't believe in having a business where you can't be right there to oversee what is happening." What a place to visit! The world needs more Kinstons—and more Stephen Hills"